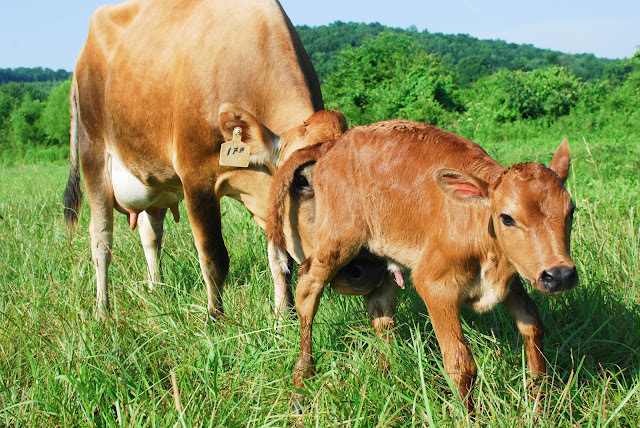 You want to tell everybody, jump up and down and shout to the world: "Our heifer had her baby! She is so beautiful; her eyes are so delicate. Her Mommy is doing such a good job taking care of her. She is nursing like a pro..." and then you look up and feel shocked to see total boredom in people's eyes. What?...not everyone is as excited as we are? What? Our baby cow's picture ONLY got 20 likes on facebook? What?!?! This doesn't make any sense! Didn't they see her picture? Didn't they see how cute she is? We live and breath our cows around here, and sometimes I forget that not everyone lives that way. If you are reading this, I'm assuming you will join in our excitement! We are like first time parents. We check on the baby every hour or so and Jason even slept in the Van last night RIGHT next to the barn so he could keep on checking on her throughout the night. We are reading constantly and googling our calf questions on the internet. We feel a big responsibility to take care of Mama and baby well; and sometimes it feels overwhelming because we know so little. But, we love it. We WANT to do things right and we WANT to do the work that it takes to keep them healthy. We are EXHAUSTED, (prob just as much as first time parents!) and didn't sleep last night. But, we had fresh milk for our extra strength coffee this morning. That's right! We milked her! It involved a lot of kicking, Jason asking me to come hold the cow's tail (it keeps her from kicking), our kids screaming from the stroller (cause I had woken them up to come hold the cow's tail), and brave Jason reaching up under a frustrated cow to squeeze her teats. After we got about two cups of milk, we were both sweaty and exhausted. Talk about teamwork! Jason and I love working side by side. 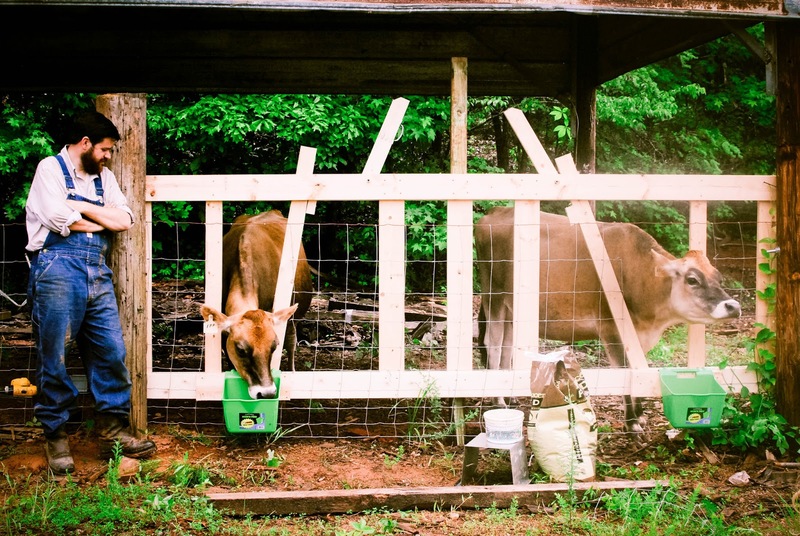 This is our dream: to farm, to have a family milk cow, to (maybe one day) have our own dairy. It's a girl! See her little teats?!?! The Stanchion Jason built for our girls. (They aren't locked in, but you see how it works). Beautiful cows! 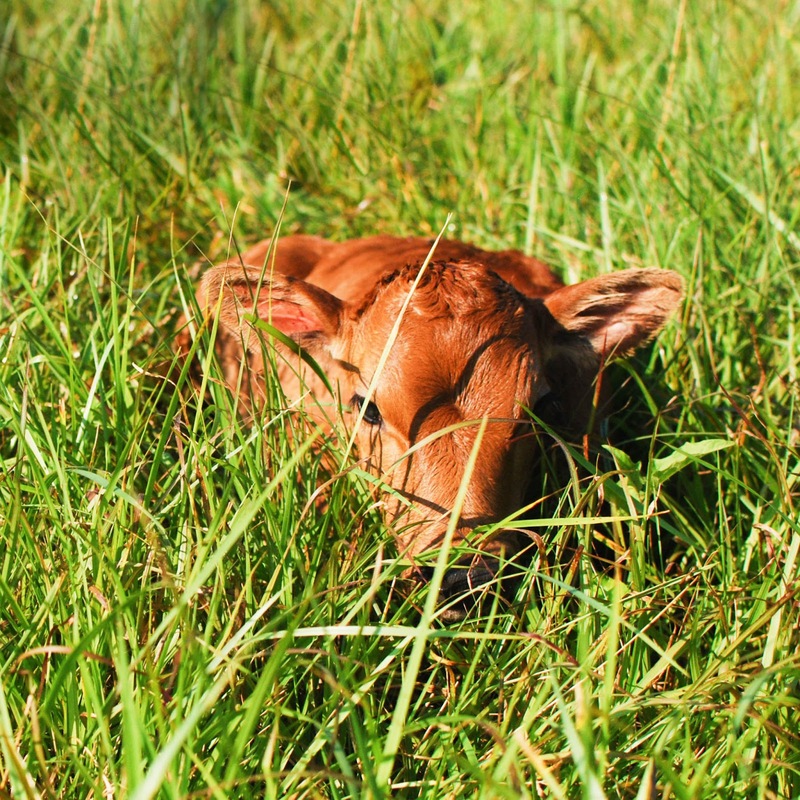 I love the wee little calf stage. They are such sweet creatures. I would have liked the facebook picture, but I am no longer on there. So count it as 21 likes ;) Congratulations on the calf and first milking! Gorgeous pictures! Cassidy, we loved your blog, esp the green house room! Tell us more about your cows! Thank you! We have Brownie, our milk cow. 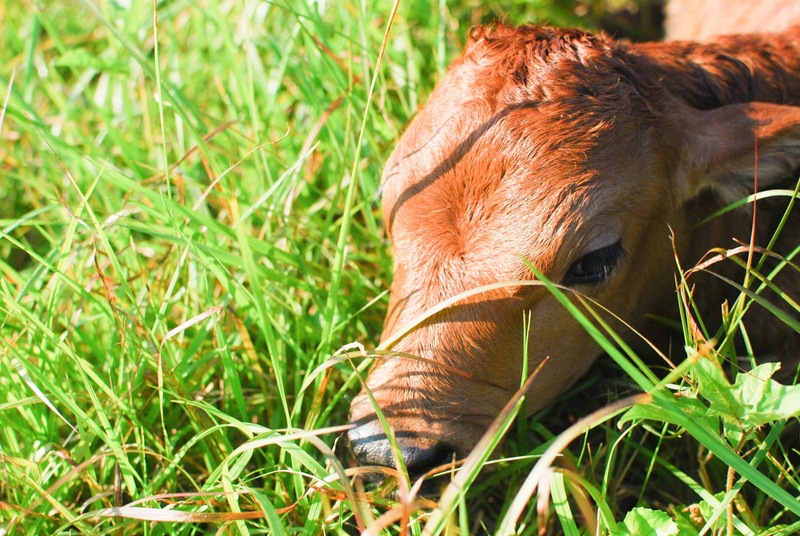 She had a boy calf, Chuck (Ground Chuck. Keeping it real.) Then we also have on our land, Manny and Meathead. Manny is Brownie's sister's second calf who weaned not to long ago. We're letting him graze our land since my father-in-law's land won't support two cows. Meathead is a holstein steer we're keeping for my brothers-in-law. Chuck is awful. He's not a nice cow. Meathead is a sweetheart. Manny is young still, but again very sweet & gentle. Brownie is our mischief maker. She is sweet, but she looooves getting into all kinds of mischief - especially finding her way out of enclosures. L had a lot of trouble milking her at first. She's never really calmed down, haha. We need about 10 more cows on the land we have out here. We're new to farming as well. We love it!